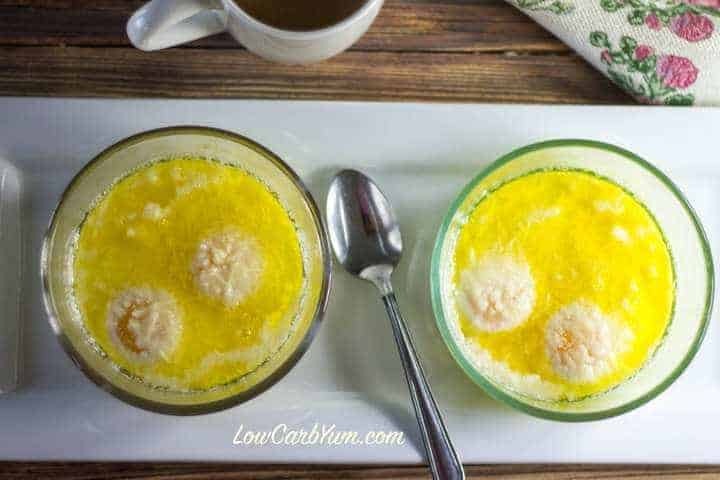 These low carb Buttery Asiago Baked Eggs make a tasty meal. 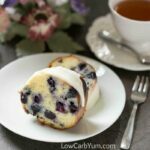 So easy to make with only 1.7g carbs per serving. 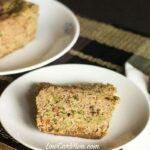 Enjoy them for breakfast, lunch or dinner! Things have been very busy at work and home. 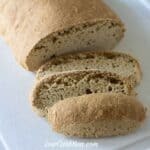 I have a list of recipe ideas that I’d like to work on for the blog, but lately I just don’t have the time to experiment with them. Now that my youngest daughter is two and full of energy, I have been taking her to some toddler recreation classes. During her first gymnastics class, I think I got more of a workout than her because I ended up chasing her all over the gymnasium. The next week, she was a little better as she remembered some of the things she was supposed to be doing. Things went much better in swimming classes since she couldn’t run away. 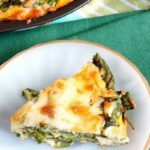 You may have noticed a lot of eggy recipes lately. 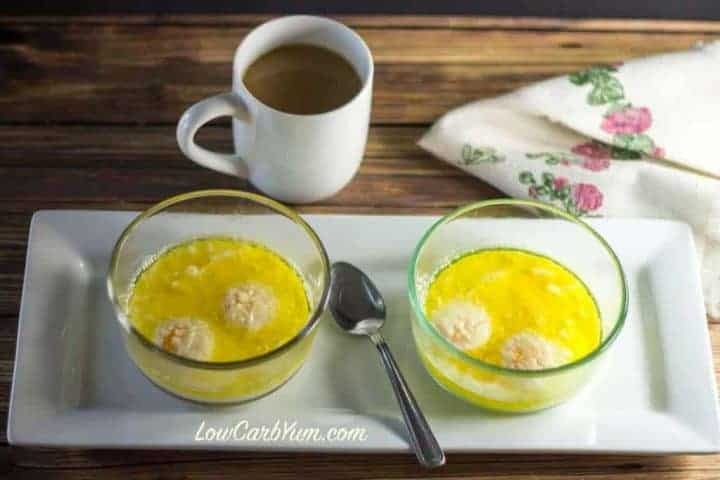 Well, I’m a big fan of egg fasting after losing some stubborn pounds during my first egg fast experience. 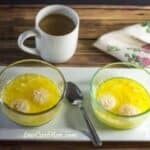 I plan to do intermittent egg fasts so I may be posting egg fast recipes here and there like these buttery Asiago baked eggs. I also need to cut back on carbs so I’ve decided to start counting TOTAL carbs rather than NET carbs for the foods I eat. Because of this, I have started to move away from granular sweeteners like Swerve in favor of liquid sweeteners like SweetLeaf stevia drops and NuNaturals monk fruit drops. In the past, I’ve seen erythritol cause weight loss stalls so I’m trying to avoid using it as much as possible. 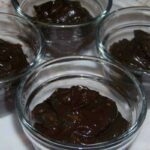 Some recipes do require bulk so I may use erythritol based sweeteners in limited amounts when needed. Fiber is another thing that I need to cut back on. I’ve noticed that when I eat a lot of fiber, I get bloated, particularly in the stomach area. 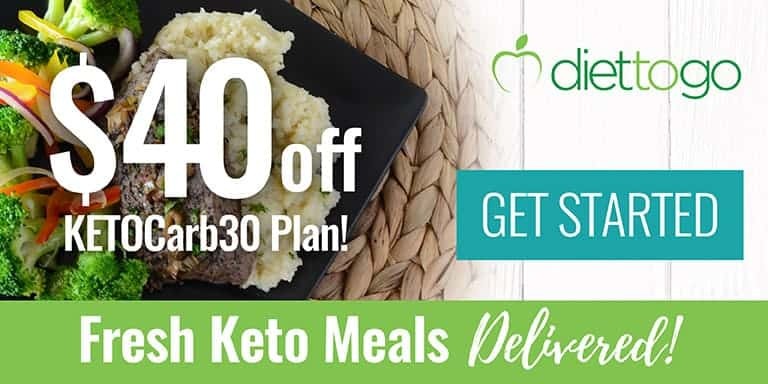 I have considered going to a zero carb diet which consists primarily of fatty meats, but I don’t think I can go to that extreme. Instead, I’d like to cut my total carb intake to 20 grams or less. That seems a bit more reasonable. Although I wasn’t counting total carbs, I’m pretty sure my total daily carb intake during the egg fast was less than 10 grams. My calorie intake was probably low too even though I was consuming huge amounts of fat because I wasn’t eating a lot of food. I wasn’t hungry at all and my weight was dropping effortlessly. 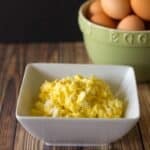 Eggs have always been one of my favorite foods and I probably wasn’t eating enough of them. 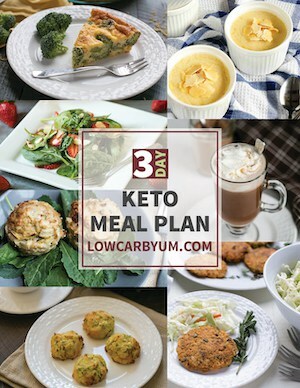 While transitioning off the egg fast, I did a week of alternating egg fast and regular low carb high fat days. My weight stabilized and I was able to maintain most of the weight I lost during my five day egg fast. 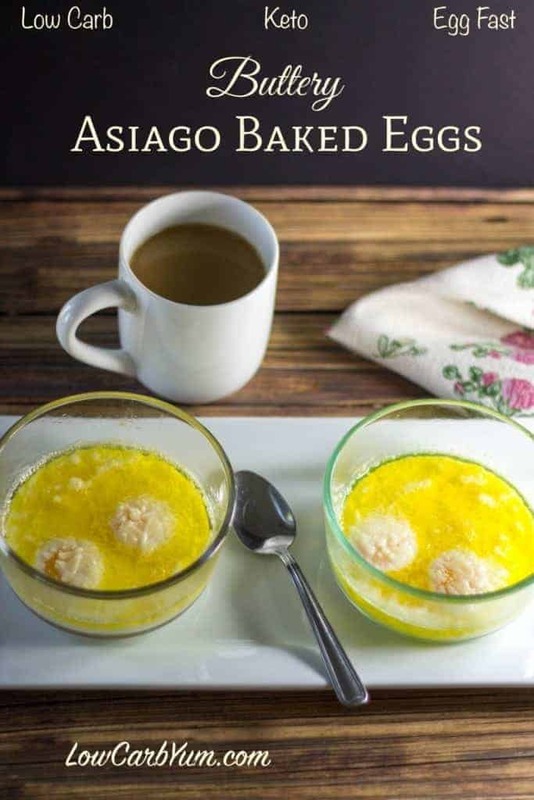 These buttery Asiago cheese baked eggs are a dish that I made a few times after work because they require very little effort. I don’t have any ramekins so I made these in small two cup Pyrex storage bowls. It’s so easy to do. You just butter the dishes a bit, then melt some butter right in the bowls. 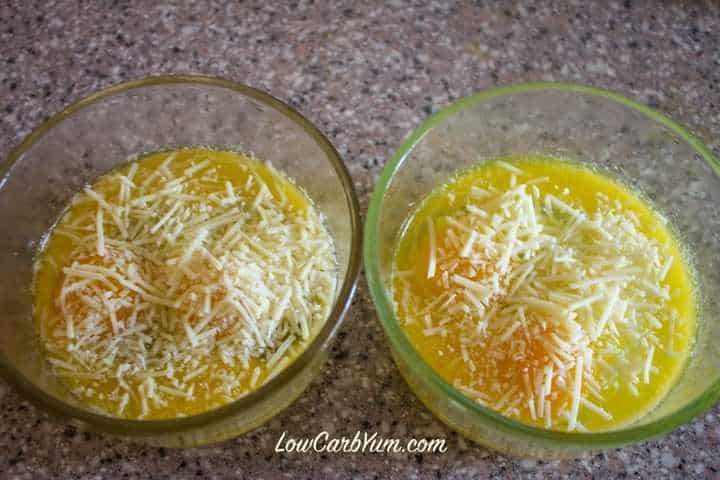 Drop a couple eggs in each bowl then top with cheese. 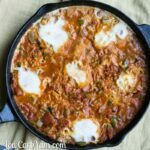 I love the taste of Asiago cheese, but you can use any cheese you’d like to top off these baked eggs. 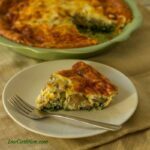 It takes about fifteen minutes for the eggs to cook in the oven. They are done with the egg whites become white. 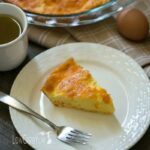 The butter ends up floating on top as the eggs bake. The yolks set, but aren’t hard. With all the buttery goodness, I like to eat these with a spoon so I can get every last drop of melted butter in each bite. Super delicious! Using a small amount of the butter, butter two ramekins or 2 cup baking bowls. 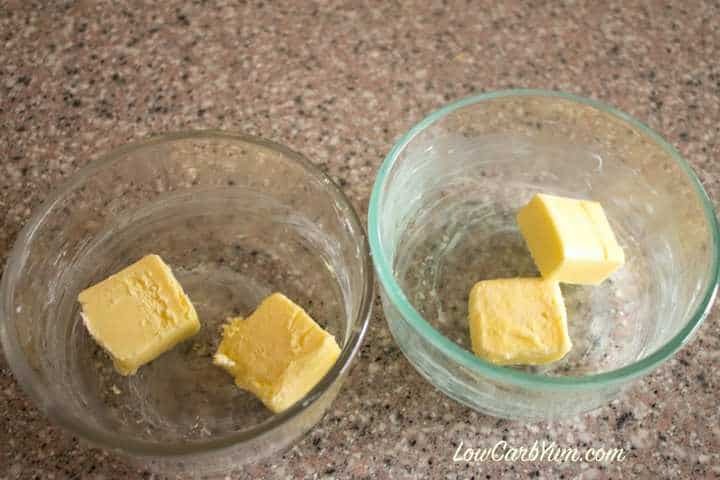 Split the remaining butter between prepared bowls. 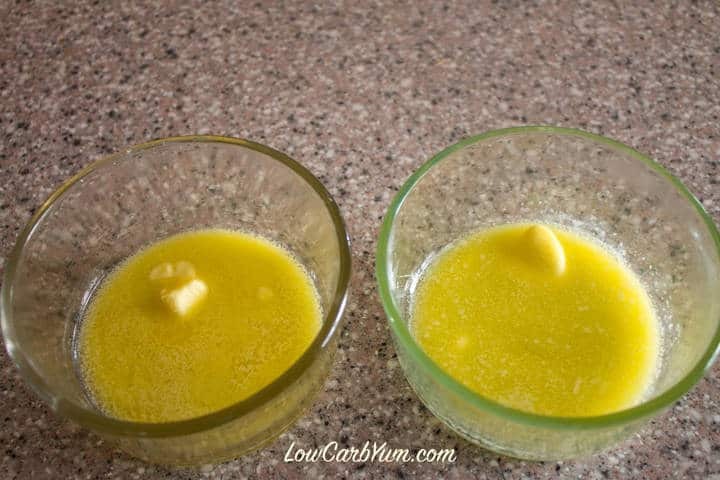 Place one ramekin in the microwave for about 30 seconds on high to melt butter. Repeat with other. 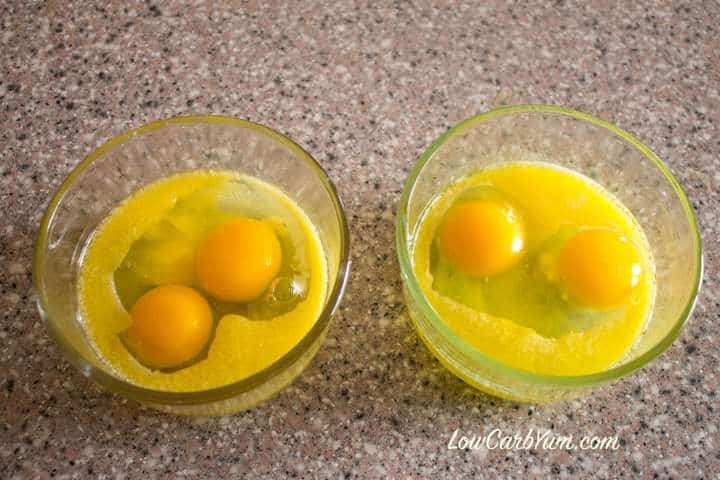 Drop two whole eggs into each bowl. 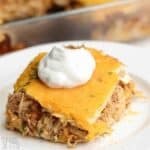 Top each with 1 tablespoon of grated cheese. Bake in oven for 15 minutes or until egg whites become white.